There are a few names that dominate the cookware market. All-Clad, Calphalon, Cuisinart, and Anolon all carry a lot of history with their brands. While T-Fal isn’t exactly a new brand, it’s also not necessarily the company that your parents bought their pots and pans from. This isn’t a bad thing. T-Fal manufactures high-quality, extremely inexpensive pots and pans that you can pick up on a tiny budget. While it won’t necessarily compete with All-Clad as far as brand recognition goes, the build quality of T-Fal pots and pans is more than good enough to give you many years of use. The low cost and great performance of this set makes it a great choice for people who want great thermal performance in their cookware. This is one of my go-to recommendations for non-stick aluminum cookware. It’s cheap, easy to use, and handles excellently in the kitchen. Get this one if you prefer ceramic non-stick cooking surface. It's often a little bit more user-friendly in the kitchen than its PTFE counterparts. If you’re new to stainless steel cookware a flat bottom in this induction compatible set will help you feel confident more quickly. T-Fal’s copper bottom stainless line is perhaps the cheapest way to get your hands on a cookware set that makes appropriate use of copper. The key benefit here comes from copper’s excellent thermal conduction. By including a thick layer of copper in the base of each pot and pan, T-Fal ensures that this set has some of the best heat distribution on the market. 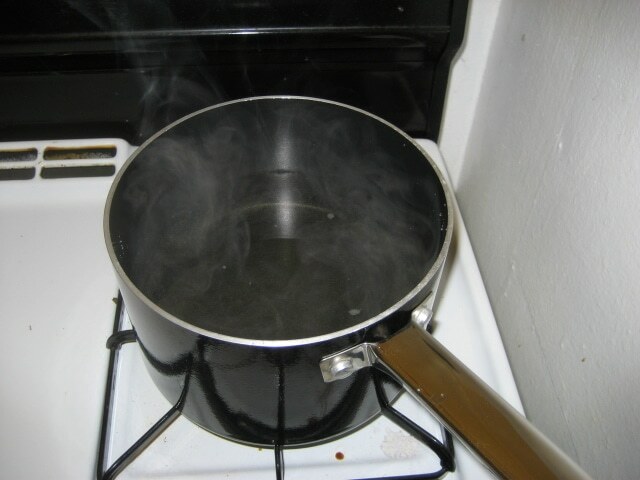 It’s very, very quick to heat up and can even reduce the amount of time it takes your food to heat up. Granted, this set isn’t quite as nice as All-Clad’s Copper Core line, but it’s much, much less expensive. 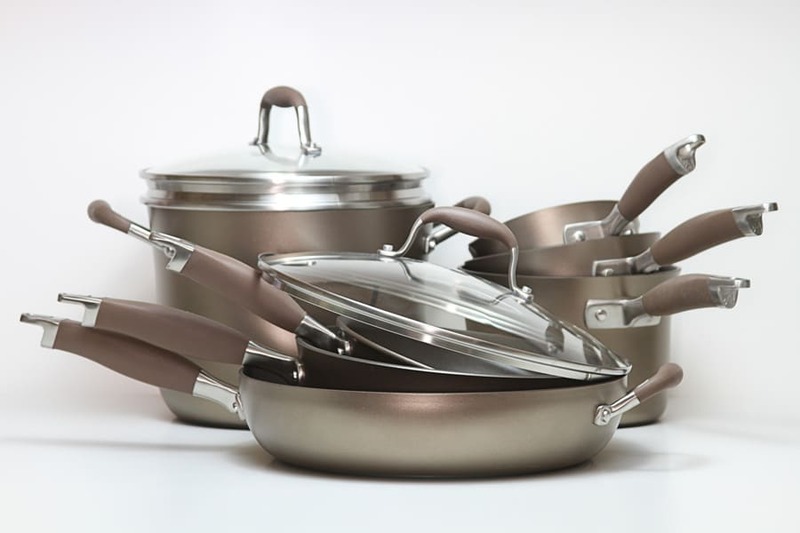 Unlike All-Clad’s multi-ply cookware, this T-Fal set has stainless sides. All of the bonded wizardry happens in the base of each pot and pan. This means that the sides of the pan won’t heat up as quickly — but to be clear, we’re talking about the angled side walls, not the edges of the circular bottom. The entire base of each pot and pan has both aluminum and copper in the base to ensure great heat distribution and quick heating. This set comes with metal handles and glass lids with steam vents. While most T-Fal sets are available in multiple sizes, your options for this copper-bottomed set are somewhat limited. The set is oven safe to 500 F with the lids off. 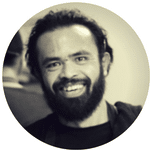 Stickiness is a point of contention with many modern cooks. We’ve grown up on Teflon, meaning that we expect our food to slide around in a pot or pan with the lightest touch and no work at all. This T-Fal set has a stainless steel cooking surface, meaning that it takes practice and effort to keep food from sticking. If you manage your temperatures carefully and use an appropriate amount of fat, it’s not too tough to cook eggs or other sticky foods. Even if you do mess up, this dishwasher-safe set is easy to clean by whatever method you choose. Of course, T-Fal makes several non-stick sets if you’d prefer to take that route. These days, I’m a fan of using a stainless steel set with a couple egg pans on the side for when I’m feeling lazy. The increased longevity of stainless steel cookware is a gigantic plus in my book. The low cost and great performance of this set make it one of my top recommendations for people who want great thermal performance in their cookware. While the stainless steel surface requires a bit of work, it’s not too bad to get used to. This top cookware set makes it obvious why T-Fal is a forced to be reckoned with in the cookware market. First off, I’ll admit that the set above isn’t technically from the Culinaire line. This is just personal preference. The difference between the Culinaire line and the Ultimate Hard Anodized is simply one of exterior finish. 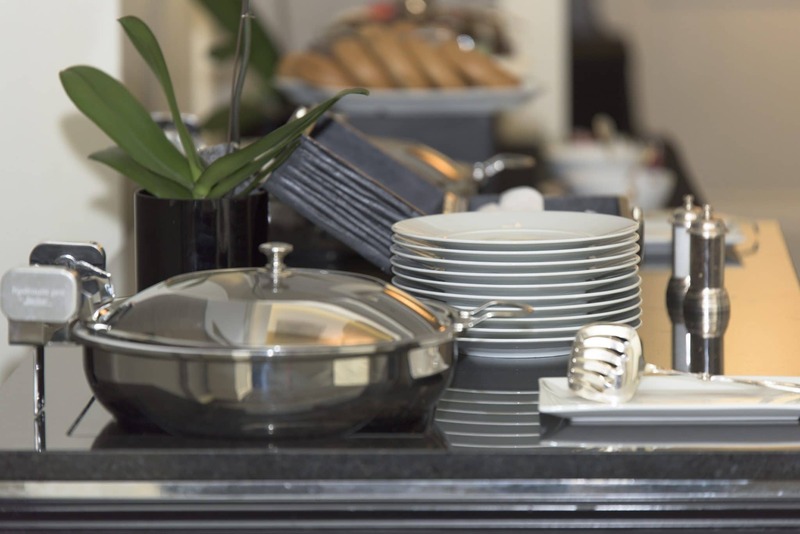 With Culinaire, pots and pans are lacquered with a painted layer of non-stick coating. With Ultimate Hard Anodized, the aluminum is simply treated to be as tough and durable as steel and left bare. I’m personally fine with black pans, and, at the time of this writing, the Ultimate Hard Anodized line is cheaper. If you’d prefer to get the more colorful Culinaire, feel free — all of the information in this review still applies, sans any discussion about the exterior color. 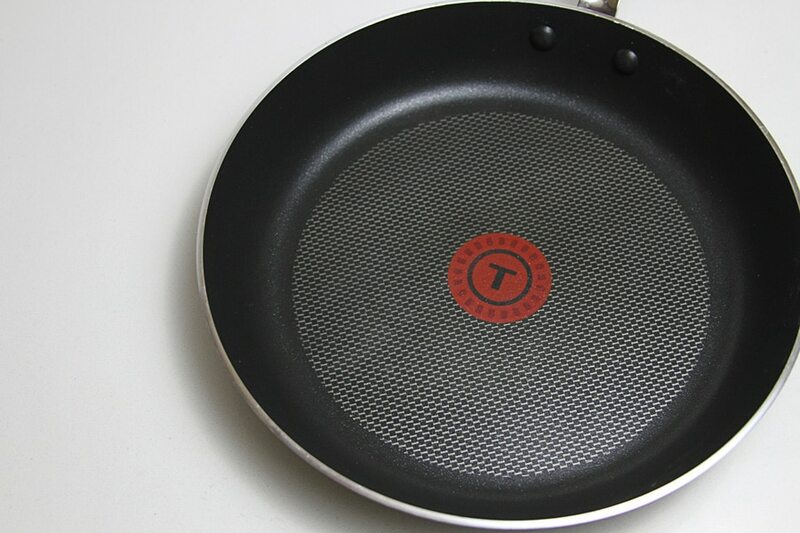 This T-Fal set is one of the best options for low-cost non-stick around. For me, this is great. Non-stick pots and pans have a habit of wearing out and becoming useless after a few years. Given that this set has lots of pieces and is very inexpensive, it’s easy to stomach replacing your cookware in three to five years. First, let’s talk about the non-stick. It’s a modern, PFOA-free PTFE which is incredibly effective and totally safe. T-Fal recommends that you use a small amount of oil or butter when you cook, which is more normal for ceramic pans than PTFE-based non-sticks. In any case, it’s not difficult at all to flip over eggs on silly temperature settings or slide around normally sticky foods. This cookware set features silicone handles and glass lids, both of which reduce the oven safety quite a bit. They do make it nicer to use on the stove, however. You can peek in and see what your food is doing without letting out all of the steam (or you can pretend, anyway; in practice, steam and condensation makes this very difficult). Additionally, silicone handles mean that you can skip potholders entirely while you cook. T-Fal advertises many of its non-stick products as containing “Thermo-Spots,” which are supposed to let you know when a pot or pan is at the ideal temperature for you to add food. I don’t think that these spots are a plus or a minus. It’s easy enough to gauge temperature by throwing a drop of water on a pan or holding your hand a few inches from the cooking surface. Both the Culinaire set and the Hard Anodized Ultimate set are made from aluminum, which keeps them very light and ensures that heat transfers quickly and evenly throughout the pan. While these pots and pans aren’t induction compatible, they’re perfect for every other type of stovetop. Overall, this is one of my go-to recommendations for non-stick aluminum cookware. Unless you have an induction range, it’s really hard to go wrong with this set. It’s cheap, easy to use, and handles excellently in the kitchen. Ceramic non-stick is all the rage these days. Not only is this surface totally free of both PFOA and PTFE, it’s fantastically non-stick and doesn’t flake or chip at all. This inexpensive ceramic non-stick set offers all of the benefits of a traditional Teflon set. Does it also offer fewer downsides? In a word: no. Honestly, ceramic non-stick and PTFE non-sticks are very similar these days. Both dislike high cooking temperatures (no matter what the ceramic people say on the packaging, they’ll still void your warranty if you cook on high heat), both have finite lifespans, and you don’t want to use metal utensils on either. While ceramic non-stick won’t chip or flake as easily as PTFE, it will gradually lose its effectiveness as a non-stick cooking surface. This set has an effective lifespan of something like three years before it’ll become more awkward to use and clean than a stainless steel set. To be clear, I’m not saying that ceramic is worse than PTFE in any way. In fact, I think I like it a little bit more. My point here is that there’s not a very big difference in terms of how you care for and use your pans, and both surfaces have a pretty similar expiration date. As far as construction goes, this set is pretty similar to the Culinaire line above. It’s got a core of aluminum with a non-stick interior (ceramic, in this case) and a colored lacquered exterior. It’s dishwasher safe, has glass lids and silicone handles and is oven safe to a moderately high temperature. It also comes with several silicone utensils that you can use to avoid scratching the ceramic non-stick cooking surface. Barring any crazy online sales, I’d recommend this set very slightly over the Culinaire or Ultimate Hard Anodized options above. I think that ceramic non-sticks are often a little bit more user-friendly in the kitchen than their PTFE counterparts. This is because they’ll resist the occasional scratch a little bit better and you’ve got more of a warning period before your pots and pans go bad. That said, the difference isn’t very big, so feel free to get whichever set is on a steeper sale or whichever set is in the color you like best. T-Fal’s stainless steel line is perfect for use on any range, including induction. The key thing that sets this line apart is a technology called Techno Release. The bottoms of the frying pans and pots are patterned with little dimples that help to prevent food from sticking. For me, this isn’t a real necessity. In fact, I’d faintly prefer to have a flat bottom for more even searing, especially in my frying pans. 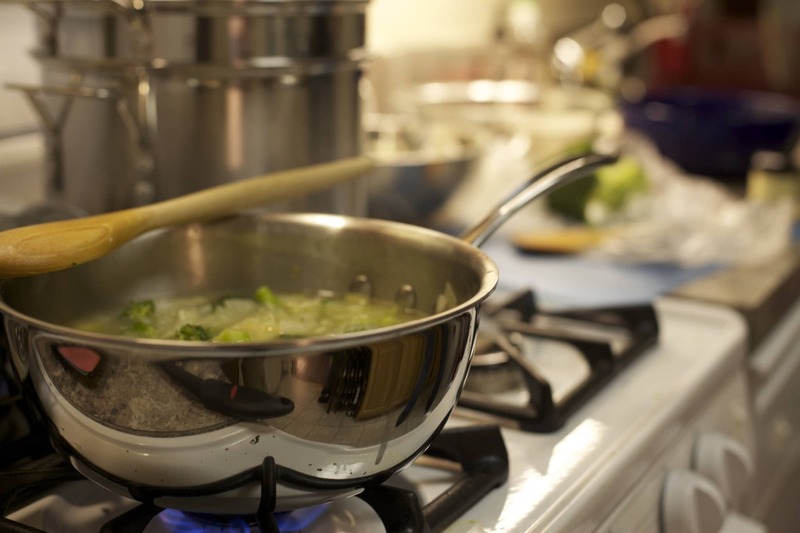 If you’re new to stainless steel cookware, however, this feature will even out the learning curve and help you to feel confident more quickly. Given the extremely low cost of this set, it’s not a bad idea to pick it up and use it for a year or two while you learn to manage your temperatures. This set is durable and well designed. It’s available with multiple types of handles, including both silicone and stainless steel. The big difference between the two types is oven safety. While silicone handles are great on the stove (since you don’t have to use a potholder), they’re not safe in the oven at high temperatures. While the bases of the frying pans in this set feature a core of aluminum for good heat distribution, this core doesn’t extend up the sides as far as I can tell. Still, you don’t really cook with the angled walls of your pan very often, so this isn’t a big downside. If you’d like an induction-ready stainless steel set with a neat gimmick to prevent food from sticking, the T-Fal Performa line is a great choice. It’s an excellent way to get used to cooking with stainless steel. Is T-Fal A Good Brand? At the end of the day, the most important parts of cookware are performance and durability. I can say with confidence that the T-Fal sets I’ve used and purchased have performed excellently in my kitchen for longer than I expected. While the non-stick products I used did eventually fail, they did so well after my conservative estimate of 2 years. To me, this is the most resounding endorsement of a cookware brand — their products work flawlessly. Not only that, T-Fal products are cheap. The cost difference between a T-Fal set and an All-Clad set is staggering. 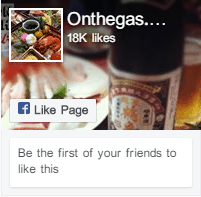 Brands like this are what have people wondering whether or not All-Clad is worth it. You can comfortably pick up a full T-Fal set and have enough money to buy well over a week’s worth of groceries for the cost of some of the more expensive All-Clad sets. That said, T-Fal has a storied history. It’s a French company that claims to have literally created non-stick cookware in 1954, after a scientist’s wife insisted that her husband coat one of their pans with Teflon. While T-Fal is the US name of the brand, it’s called Tefal in other countries. 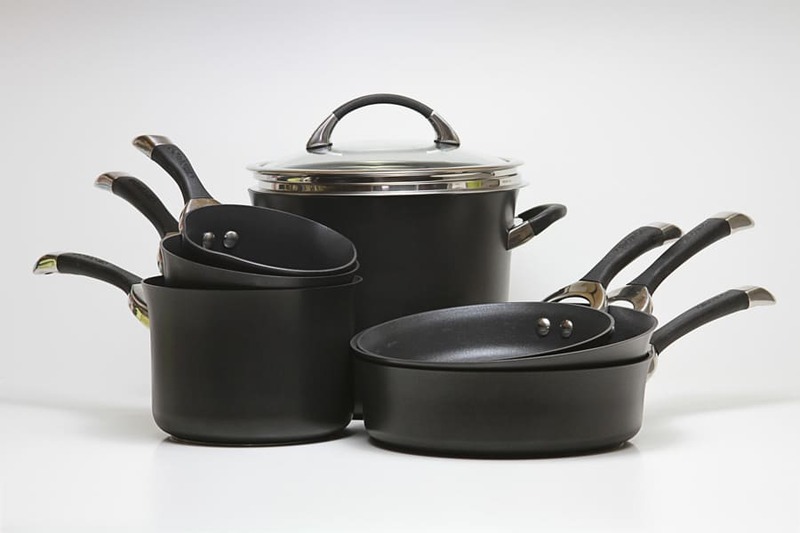 It started a big push to expand its grasp on the US cookware market in 2000 and has been fairly successful. T-Fal is owned by Groupe SEB, a French consortium that also owns All-Clad. They don’t necessarily work together on cookware in any way, however. They’re simply owned by the same parent company. The high quality and low cost of T-Fal cookware make it an excellent choice for any household on a budget. While T-Fal sets don’t have all of the innovative features of Calphalon sets or the brand recognition of All-Clad, they’re pretty darn cheap and have excellent performance on the stove. You can’t go wrong by choosing any of the T-Fal cookware sets above.